From country to country there are particular differences between supermarkets. While a lot of products and brands are today common to all supermarkets, it is no secret that products flavor or presentation may differ according to customer needs and expectations. Greek supermarkets are no exception to that rule. Greek cuisine is a Mediterranean cuisine which is mainly based on olive oil, fresh vegetables, wine, Greek cheese, and a big variety of spices. Of course, supermarkets will provide all these ingredients. Olive oil shelves in a Greek supermarket are quite important in size offering a wide variety of Greek brands. Needless to say, you won't find any Italian or Spanish olive oil in the Greek market. 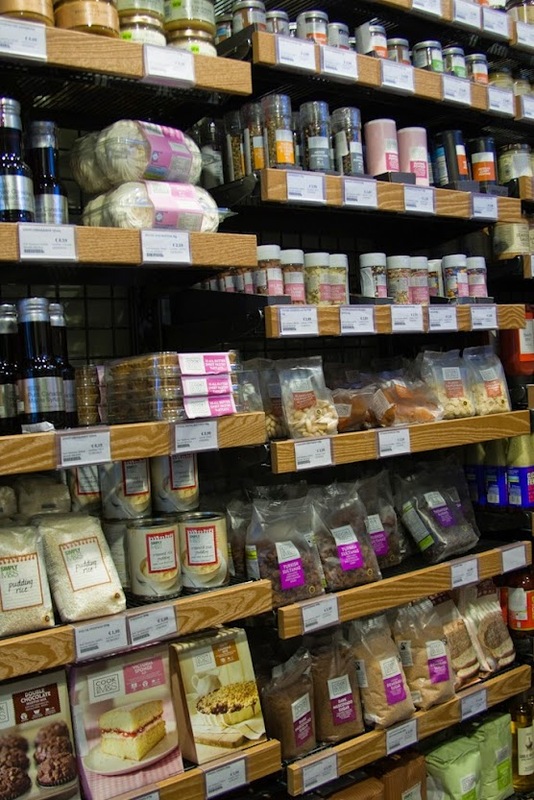 Other important shelves are those with beans, lentils and chickpea which are used in well known soup recipes. It a traditional Greek family it is custom to have these soups on Wednesday and Friday of ever. In general, the Greek supermarket will offer all products for a household that cooks at home on daily basis. Thus, at the exception of Lidl supermarket, refrigerated foods are limited in comparison with a French or an American supermarket. This also applies to prepackaged meats, cheese, and various Italian meats (Ham, salami etc.). These products are usually found at the butcher department store or cheese stand where customers get served from qualified employees. Although cooked food can be found in some supermarkets, it is still not very popular. Indeed, one would prefer to use a take home restaurant delivery or a fast food restaurant. Prepared food in general limited to big supermarkets or hypermarkets. As for fish, which is also an important ingredient of Mediterranean cuisine, fresh fish is widely more popular, but of course more expensive. Big supermarkets have a dedicated department store for fish. Still, buying fish from the fish shop, or the fish market is more common. 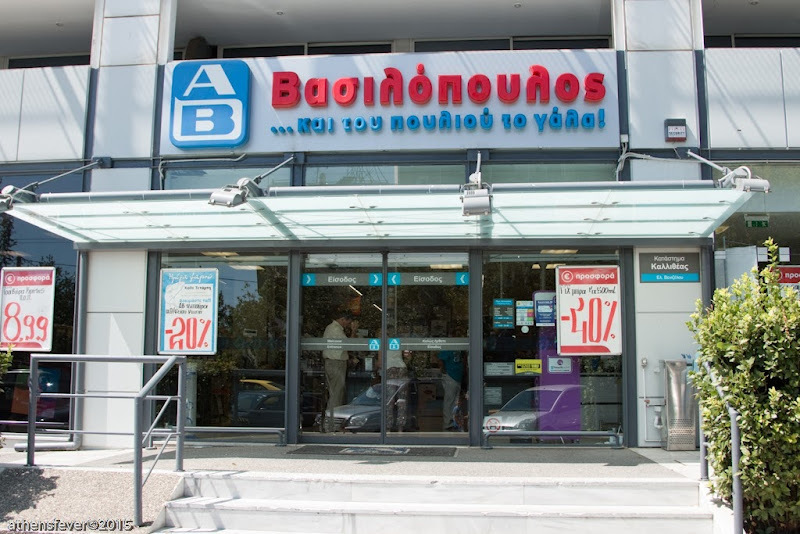 In greek we call this supermarket "Alpha Vita" or simply "Vasilopoulos". It is a well known, and well established all over Greece. In smaller residential area one may find "AB city" which is smaller in size with less products than an oridnary supermarket. Beside food, the market offers a number of services: A free home delivery service for purchaces over €60. The delivery is made the same day if the order is made before 11:30 am. For VISA card holders it is possible to redraw from the cachier a small anmount of money (€10 to€50) along side with your purchaces, Finally, you can make a Western Union transaction. 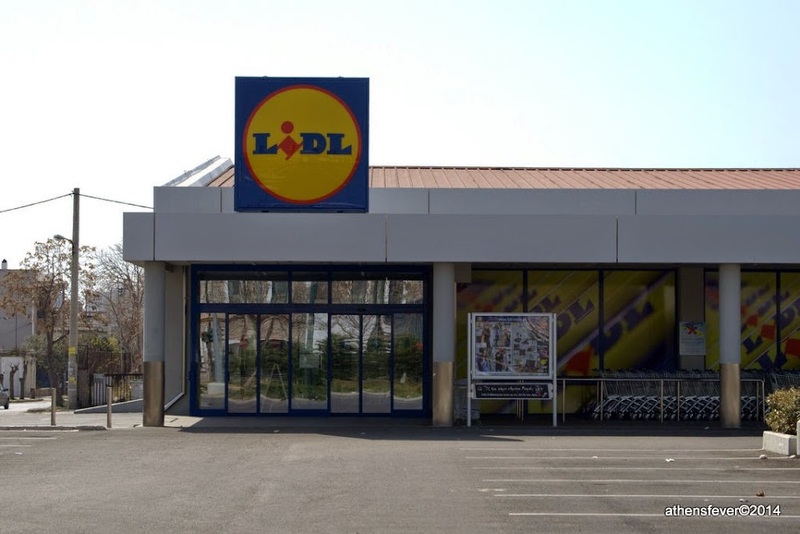 Lidl is a low cost market that used to be snubbed by the Greek middle and upper class before the economic crisis. The gloomy atmosphere of the market, plus a majority of foreign customers, had all to discourage the domestic clientele. With wages going down the latest years, this behavior has changed. Also, Lidl has managed to attract new clientele with new marketing strategy, new products, and special offers. To start with marketing, two celebrity Greek chefs Lazarou and Skarmoutzos are hired to present on kouzinalidl.gr their recipes with ingredients from Lidl market. The rich presentation of each recipe with video and text is very appealing. As for products, it’s mainly a mix of local Greek and German products. Special weekly offers can be found in the market catalog that can also be consulted online. Products sold at Lidl are not limited to food. There are clothes, small home utilities and DYI tools and home maintenance material. However, the stocks of these are limited and tend to disappear quickly because of their low price. As for wine, there is the lately a selection of 30 bottles of French red and white wine with prices ranging from 3.5€ to 20€. Of course, Greek wine can also be found except for the well known wine domains such as ‘Hatzimichalis’ or ‘Repanis’. 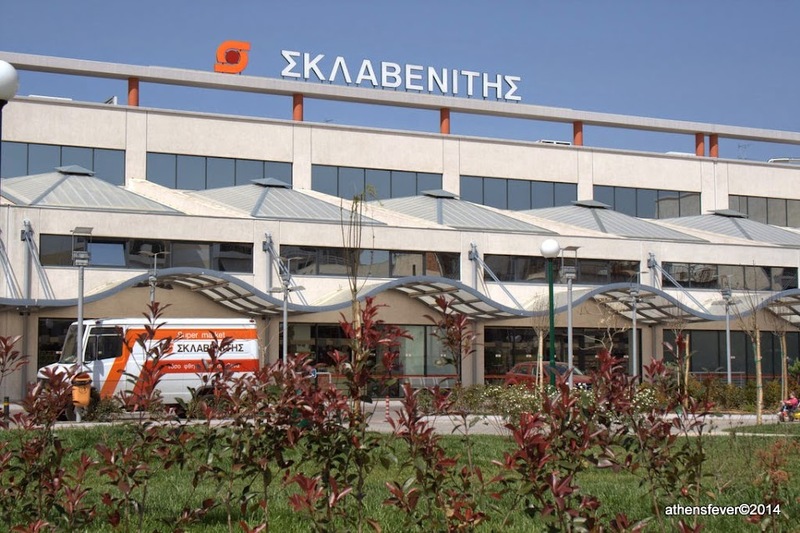 This is one of the biggest retail groups in Greece with the particularity to be totally owned by the Greek family Sklavenitis. The market is well popular among Greek households. Sklavenitis has no site neither does it invest in any commercials. These are mini markets that are open daily from 08:00 am to 11:00 pm. Thus it is the only market that operates on Sundays and that is open late at night. It has however failed to impose itself, specialy in pouplar areas, most probably because it is more expensive than the average maeket. Still it is quite practical specially for tourists. Carrefour Supermarket is having lately important financial problem, causing many products missing from its shelves. This used to be owned by the well known French multinational retailer. It however left Greece some years ago leaving their share to Marinopoulos. The name however did not change. Lately, Sklavenitis acquired Carefour shares. 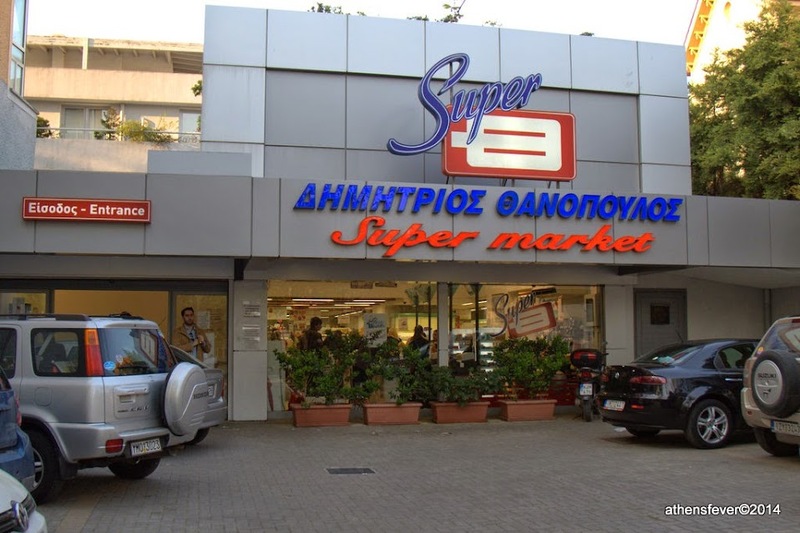 There are only three Thanpoulos stores in Athens, all located in the northern suburbs. Their target market are the wealthy households of the area. Some of the products found in this store are particular and difficult to find elsewhere. It is however not necessarily more expensive than other markets. Athens Center do not have big supermarkets. The following map shows a number of medium to small markets in this area.